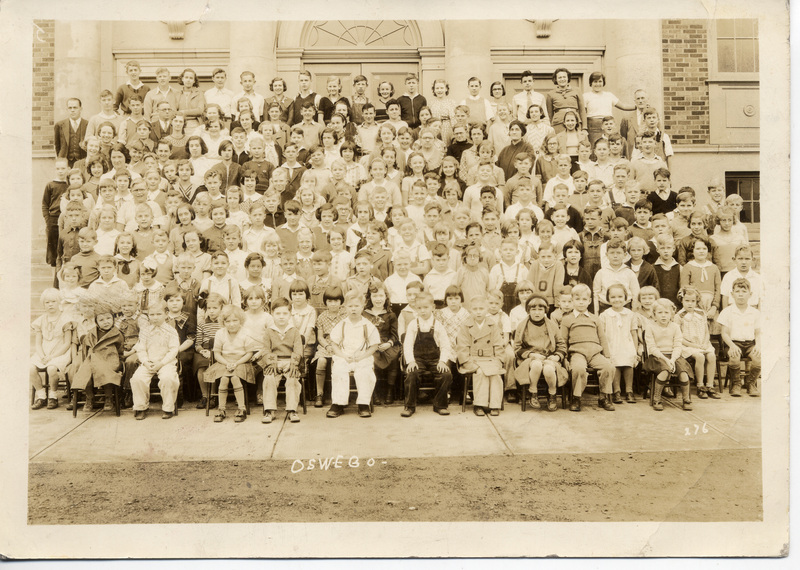 Julia Marx Buffum; 3rd street; 3rd grade; Oswego, Ore.; 1935? Description Photo courtesy of Julia Marx (Buffum). Julia is pictured 2nd from the left in the fourth row from the bottom. Red McVey appears in the upper-right corner of the photograph. Transcription Julia Marx Buffum; 3rd street; 3rd grade; Oswego, Ore.; 1935?